Daily Mail UK: President Vladimir Putin says he is suspending Russian participation in a landmark Cold War-era missile treaty in response to the US announcement yesterday. Secretary of State Mike Pompeo announced Friday that the US would no longer comply with the treaty which kept intermediate range missiles out of Europe, beginning as soon as Saturday. Putin made the statement at a televised meeting with foreign and defence ministers Sergei Lavrov and Sergei Shoigu that Russia would no longer initiate talks with the US on disarmament. Putin also said that Russia will start working on creating new missiles, including supersonic ones. Pompeo threatened on Friday [that] America would ‘terminate’ the treaty by Saturday if Russia did not come into compliance with it. Speaking at the State Department he said: ‘For years Russia has violated the terms of the intermediate range nuclear forces treaty without remorse. But Moscow has long insisted it does not violate the agreement, and last month invited reporters and foreign military attaches to a briefing on the disputed weapons system. Lavrov on Saturday repeated Russian accusations that Washington itself has been in violation of the deal for many years. At the meeting, Putin said Russia would seek to develop medium-range missiles in response to what he said were similar projects in the US. But he told the ministers that Russia would ‘not be drawn into a costly new arms race’. Russia would only deploy intermediate- and short-range missiles in Europe or elsewhere in answer to similar moves from the US, he added. Putin has previously threatened to develop nuclear missiles banned under the INF treaty if it is scrapped. European leaders have voiced fears over the consequences of the treaty’s demise and called on Russia to address concerns before the United States formally leaves in August. Signed in 1987 towards the end of the Cold War by then US president Ronald Reagan and Soviet leader Mikhail Gorbachev, the treaty bans ground-launched missiles with a range of between 315 miles to 3,415 miles. The deal resolved a crisis over Soviet nuclear-tipped ballistic missiles targeting Western capitals, but put no restrictions on other major military actors such as China. In a statement issued on Friday, Trump suggested ties could improve markedly if Russia were willing to compromise on arms control, saying all sides must live up to such agreements. ‘We stand ready to engage with Russia on arms control negotiations … and, importantly, once that is done, develop, perhaps for the first time ever, an outstanding relationship on economic, trade, political, and military levels,’ he said. But the withdrawal could lead to the U.S. developing new nuclear weapons of the type, which were stationed in Europe in the 1980s to huge public controversy – and potentially stationing them on the continent again. A senior official cited prior US efforts to negotiate with Russia. ‘We have had a series of discussions at the highest levels,’ the official said. ‘There was even an effort to arrange at highest level, President Putin and President Trump, that President Trump made the decision to cancel because of Russia’s absolutely unlawful and flagrant violation of international law with respect to the seizing of 24 Ukrainian sailors,’ the official said, referencing the cancelled formal meeting in Buenos Aires. The US side called off that formal meeting in protest of Russia’s firing on Ukrainian vessels in the Kerch Straight incident. However, it was revealed this week that Trump and Putin did meet privately in Buenos Aires, speaking for up to 15 minutes, the Financial Times reported, citing a Russian government official. The report did not state that they spoke about the missile treaty. A few hours before Pompeo’s announcement, the NATO Western security alliance issued a statement saying it would ‘fully support’ the US withdrawal notice. 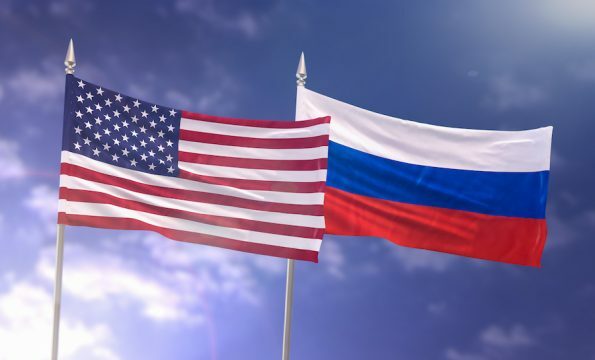 ‘America really wants to develop new weapons systems which are in breach of this treaty,’ Konstantin Kosachyov, senior Russian lawmaker, wrote on social media yesterday, saying the alleged Russian violation of the treaty had been a convenient pretext. The Trump administration had forecast its withdrawal from the 1987 pact, citing concerns that Russia wasn’t honoring it and that it didn’t include China, which has engaged in its own missile program. America’s exit kicks in within a 60-day period, which will be followed by a six-month period to withdraw from the landmark Cold War agreement. Why would the United States want to develop longer-range conventional land-based missiles? To protect itself against China, which is not part of the treaty. Consequently it has to get out of the arms treaty. As the world prepares for war, God’s word continues to read like the morning news paper. Jesus himself said there would be wars and rumors of war (Matthew 24:6). “Fearful tests and trials await the people of God. The spirit of war is stirring the nations from one end of the earth to the other. But in the midst of the time of trouble that is coming,—a time of trouble such as has not been since there was a nation,—God’s chosen people will stand unmoved. Satan and his host cannot destroy them, for angels that excel in strength will protect them.” Testimonies for the Church, Vol. 9, page 17.
admin on Has the King of the North Been Pushed Too Far in American Politics? 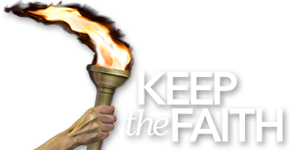 Kevin Paulson on Has the King of the North Been Pushed Too Far in American Politics?